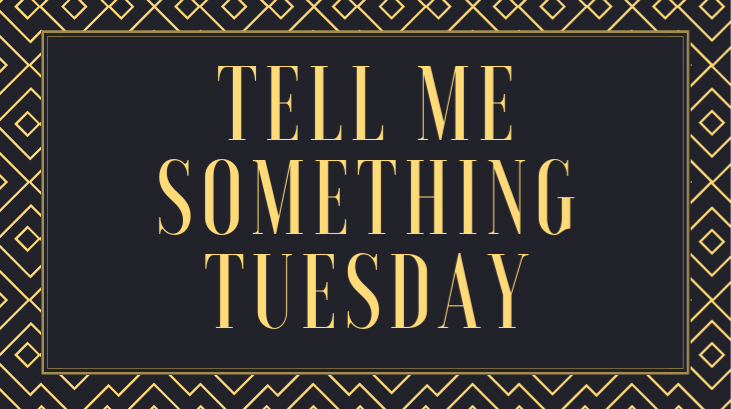 Tell Me Something Tuesday is a weekly discussion post hosted by Rainy Day Ramblings where a wide range of topics from books to blogging are discussed. Weigh in and join the conversation by adding your thoughts in the comments. If you want to do your own post, grab the question and answer it on your blog. This week's topic: Cliffhangers: Do they compel you to read more or steer you away? I think this is a great topic for discussion because people have such strong feelings on the issue of cliffhangers. Personally, I have very mixed feelings because I feel that cliffhangers require a fine level of skill to successfully pull them off. On the one hand, I enjoy your general non-extreme cliffhanger (assuming, of course, that it's a series) because I like having something to keep me actively engaged in picking up the next book. I love having something that stays in the back of my mind and keeps up a little excitement until I can read the next book. 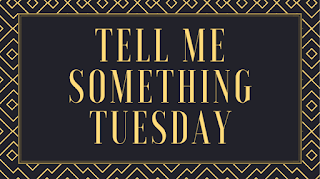 I've always enjoyed a little suspense and delayed gratification, so I like that aspect and I'm okay with having some unanswered questions. On the other hand... cliffhangers can get out of hand really quickly. I don't enjoy cliffhangers that are take the concept too literally and end at a moment when, say, a character is actually hanging off of cliff or something equally suspenseful. Those aren't cool. Any sort of sudden ending that feels jilted or as if it's only there as a marketing ploy to make you pick up the next book is where I draw the line. I don't like feeling tricked into reading a next book. I also don't enjoy really strong cliffhangers because sometimes I know I don't plan on picking up the ext book in a series, so it's nice to have some sort of decent ending to close out on and not feel like I'm just cutting off a story. I'm also someone who enjoys open endings sometimes, so uncertainty is fine, but not when it just takes away enjoyment and makes readers bitter. How do you feel about cliffhangers? I know I know, you think you know this already, howabout I just tell you though. I want to see if this makes you laugh. A middlerich kid stepped on our house and crushed my dad to death. Then that same year a cat attacked my mom at the dump and snapped her spine. Okay there. That’s it. Did you blurt a little giggly laugh? No you didn’t, okay good, ofcourse thanks for not laughing, sorry for being the Laugh Police. That story to me is just not super funny. But to other people, a littlebit funny. Mostly these are the people too big to worry about getting stomped, squashed, catcrippled, sewerdrowned, mudburied, any of your classic littlepoor terrors. We were as littlepoor as you can get, a tenth of middlescale, about as big as rats. We preferred to say squirrels, because a squirrel is a little bigger and ofcourse less disgusting. But squirrels are more like eighthscale and we were tenthscale, littler than squirrels, more exactly the size of average rats. We lived in the beachy capital of Lossy Indica, down in an alleyway near the docks. Our house was a onestory block of twinedtogether milkcrates, roofs and walls of smasheddown tincans, everynight the stovesmoke tickled our lungs and avored our skin." This is my first time reading the first few chapters of this book as well, and I'm really intrigued and not sure what to expect. I was drawn to this book ecause it's aout a world in which wealth and poverty are directly porportionate to one's size, which is a concept that I've always oddly wanted to read about, so I jumped at this book when I saw it. I can't wait to finally pick it up and start it. Yeah, I tend to enjoy cliffhangers in a series I know I'm going to continue, but it does seem that YA relies on them a lot. I definitely agree on the YA front, there do seem to be a lot more in them than others. I 100% agree! I need enough of a finish to feel satisfied, but leave me something. I almost always try to read other people's reviews or book recaps when I get to sequels and such, haha--I tend to forget the really important fine details and then am lost if I can't get a refresher. I hate cliffhangers! Maybe that hate was bred in me from an early age by reading Nancy Drew, in which every single chapter ends with a breath-snatching, exclamation-pointed cliffhanger. But I also don't like series. I like having one book and reading that one book and enjoying the characters and the world in that one book and then putting it down and being done with those characters and that world. The premise of Munmun is really interesting! I can understand that perspective! I hate cliffhangers like the ones in Nancy Drew, it makes it frustrating to put a book down sometimes, and eventually leads me to just get annoyed with them. I'm often one of those that wants as much out of a world as I can get, but I can definitely get the appeal of standalones--sometimes it is nice to just have a contained story and move on! I absolutely despise cliffhangers. I hate them with a passion. I will not read a book if I see it has a cliffhanger.... at least not until all the books are out. Totally understandable! That makes me think I should always be sure to point out if books have huge cliffhangers in my reviews to help you and others who hate cliffhangers. I think it depends on the author. Some authors do cliffhangers well, and others just irritate me. I think I’m more forgiving of cliffhangers if the book is part of a series. I know the cliffhanger will be resolved in the next book. Yeah, they are certainly more acceptable in series. But I do agree that some authors are much better than others at it!